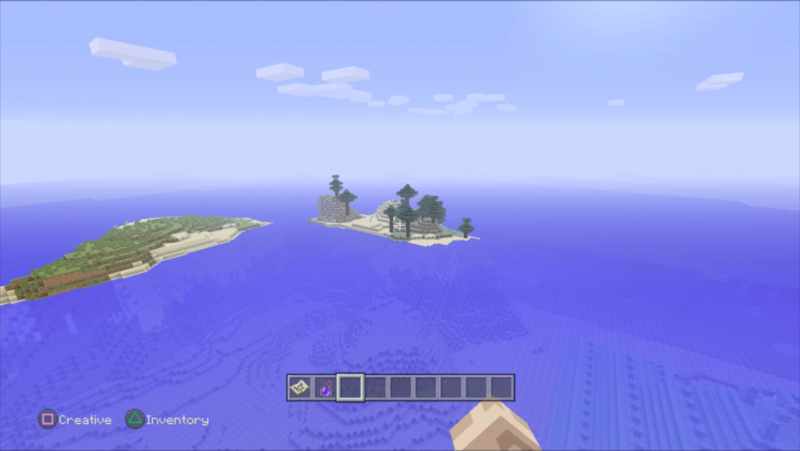 Seed – Spawn is on one of three small islands. 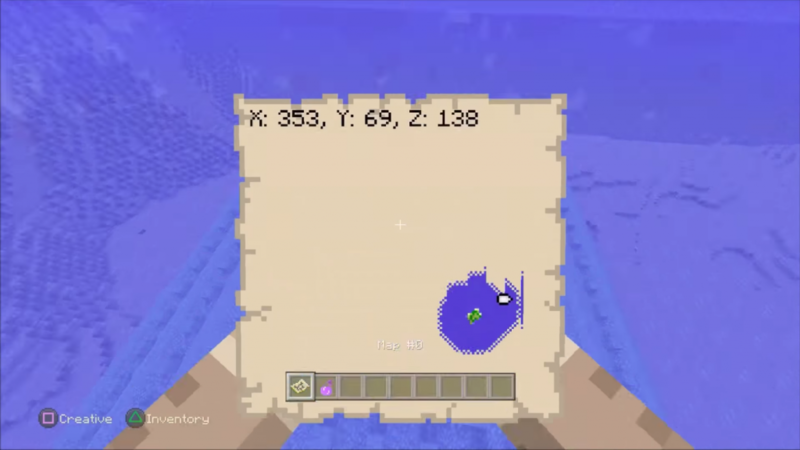 One of the three islands has an empty interior, you can see it in the image below. 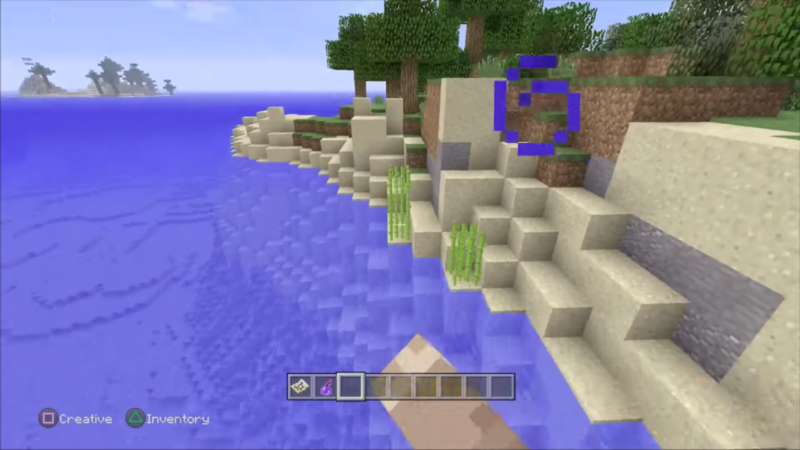 If you destroy any block of sand on the surface, then other blocks will simply fall off and you will see the inner emptiness of the island.